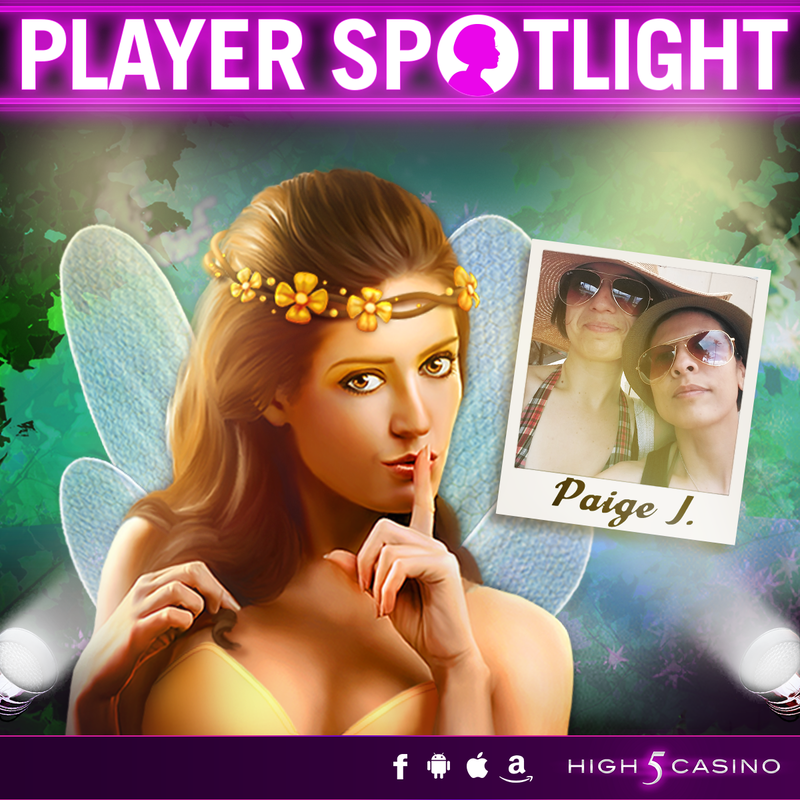 Get to know one of your amazing High 5 Casino friends in today’s Player Spotlight –Paige J. from Long Beach, California! If Paige could go to lunch with a High 5 Casino game character, she would choose the girls from Thunder Road! Which High 5 Casino character would you like to have lunch with? Check below and see if you and Paige J. share the same answers! 3. If you could teleport yourself into a High 5 Casino Game, which would it be and why? Great Balloon Adventure, because I’ve always wanted to go on a hot air balloon ride! 4. You’re in trouble, which High 5 Casino Character would you call to your rescue and why? The Valkyrie Queen, because she’s hot! 5. If you could spend a week’s vacation in one of our games, which game would you choose? Why? 6. If you could pick any High 5 Casino character, that happens to be an animal, as your pet, which character would you choose? 7. If you could be a High 5 Casino character, who would you choose to be? Why? Maggie from Maggie and the Martians, because she’s a cartoon and has a ray gun. 8. Which 5 High Casino game has the best graphics? Why? Retropolis – I like the stylization. 9. Which High 5 Casino Jackpot game is your favorite? 10. In your opinion which High 5 Casino game has the best bonus feature? Why? Dream Beauty’s enduring bonuses, because they can go on and on, it’s awesome! So… do you and Paige shares some common answers to these questions? Comment in the conversation bubble located on the top right of the blog post and let us know! This entry was posted in High 5 Casino, Player Spotlight and tagged Android, App Store, Apple, Facebook, Free Games, High 5 Casino, High 5 Casino Mobile, High 5 Games, iOS, iPad, iPads, iPhone, iPhones, mobile gaming, Player Spotlight, slots, social gaming by hoothigh5. Bookmark the permalink. Hello, If you’re having trouble on your computer please try clearing your browser’s cache by holding down CTRL, SHIFT, DELETE on your keyboard and choosing to clear the cache and cookies and restart your browser. If you’re having trouble on your iPhone or iPad, press the home button twice quickly and then swipe up to close the apps you have open. If you’re having trouble on your Android phone or tablet, please visit this website for further instructions: http://www.wikihow.com/Close-Apps-on-Android. We hope this helps!